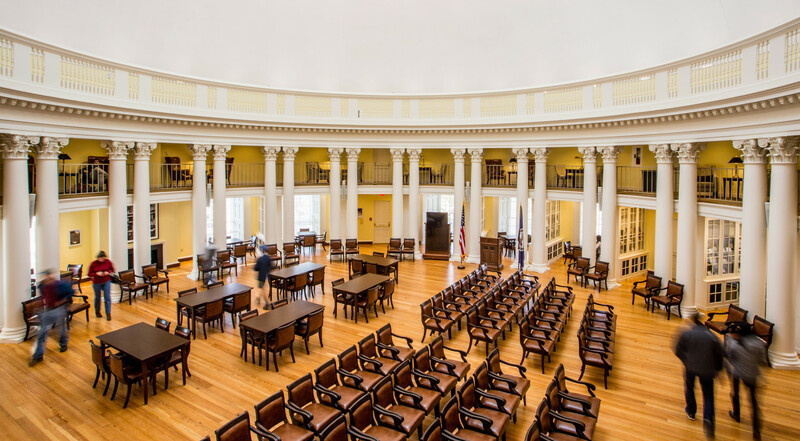 GLAVÉ & HOLMES, serving as the Interior Design consultant to John G. Waite Architects, was responsible for the furniture package on the renovation of the historic Rotunda at the University of Virginia. The design team worked to create spaces that were flexible and could accommodate the various events that take place throughout the week – from meetings to dinners to defending dissertations. 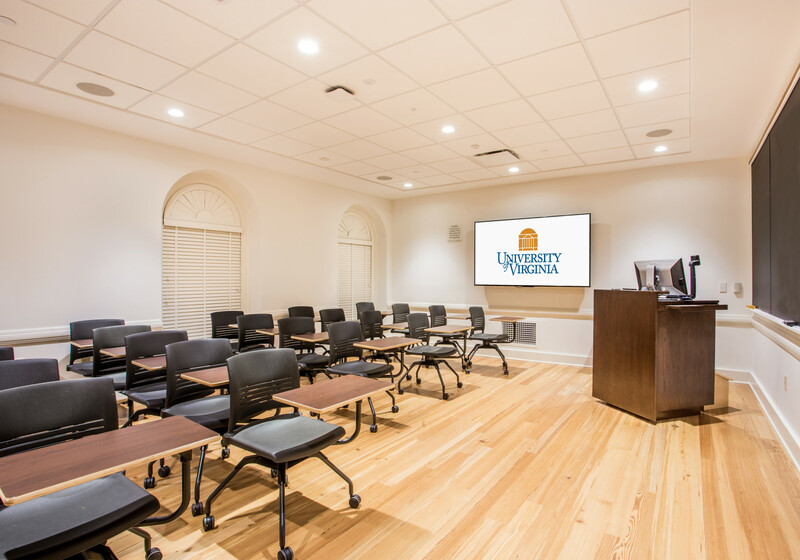 The renovations allowed for new classrooms, meeting rooms, exhibit spaces, and study areas. 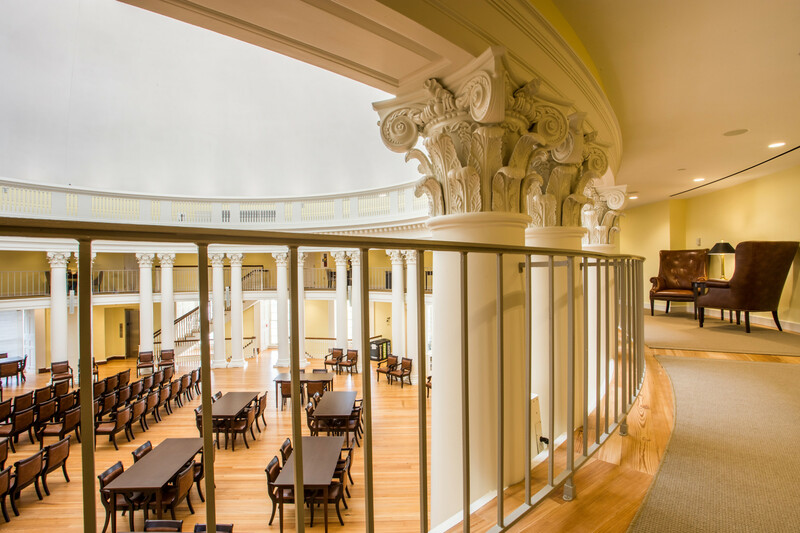 G&HA’s designers transformed the function of the Dome room’s mezzanine into a tucked-away study space for students. 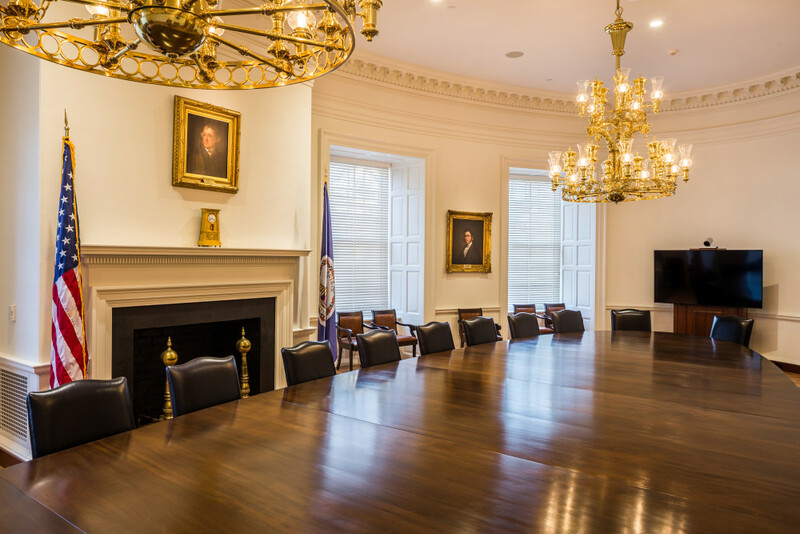 The team also added in a new system for hanging rotating artwork in the oval rooms and assisted with the placement of the art and donor wall. 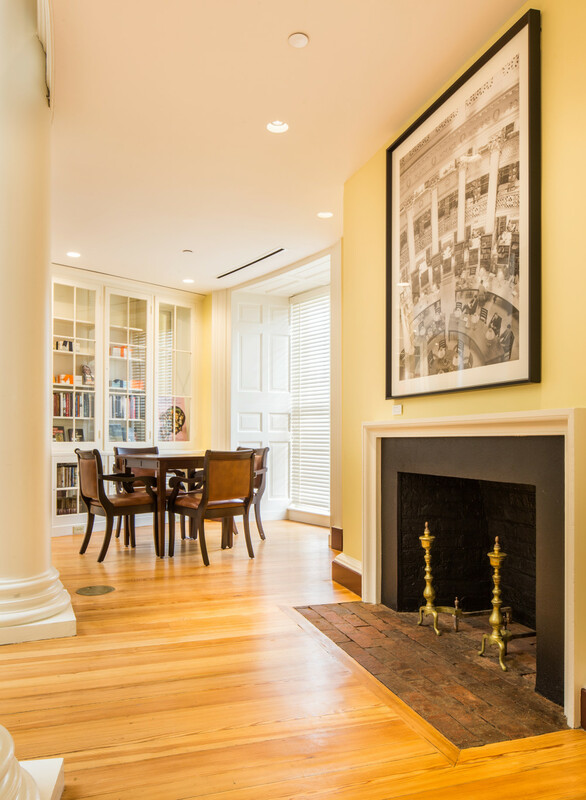 The scope of work not only included the selection of furniture and fabrics of a timeless aesthetic and durable construction, but also included restoring existing furniture in the Rotunda. 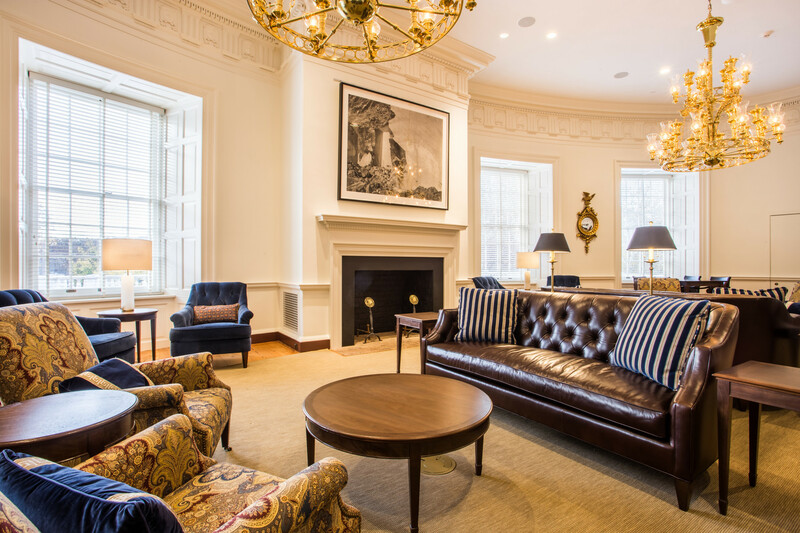 The large oval tables were adapted for connectivity and the 40 year old hand-knotted rugs were restored to their original beauty.